I know there are already a ton of these gift guides out there for photographers, but every single one is unique! I decided to throw together a simple photographers gift guide for those looking to either gift someone who is already a photographer, or someone who is just wanting to get someone something special for Christmas. 1. Camera. 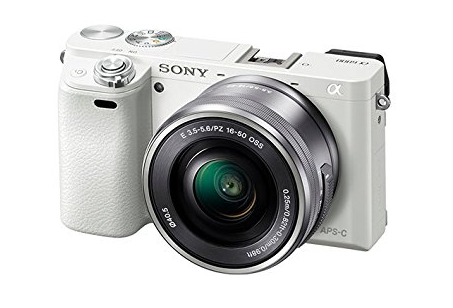 Sony Alpha a6000 Mirrorless Digital Camera. I listed this camera because it is just so easy to use and it is perfect for travel. I actually took this camera on a trip to Hawaii last Christmas and it was the only thing I needed. It takes high quality images and great video. It also has a pop up camera for taking the perfect selfie, or if you are into vlogging. I get asked all the time what camera is a good starter camera for those really wanting to peruse photography. In 2010 I got my first DSLR and it was a Nikon D3000. Yep, I am a Nikon girl. It was the perfect camera for just under $500. You can probably find them at Costco as well, but this is the same camera I started out on just a newer version. This camera is great for really learning how to really use a camera. I don’t think anyone could have enough of these honestly. I have so many, and always could use more. I am someone who never erases/formats a card until a client gallery is delivered and backed up multiple times. Which usually leaves me having to buy more. These have been the most reliable cards for me. This Heidi Haden camera bag is one I am currently using on my smaller family, senior, or engagement sessions. It is super sleek and functional. It’s also under $200. This Bluetooth speaker is awesome. I use it during photoshoots to help with any nerves that my clients might be having for their sessions. It also has a mic on it for speaker phone calls which I probably will never use, but it is a cool feature! I love that it can clip to the outside of my bag and it has awesome audio. These cases are perfect for SD Cards. They are shock proof and weather resistant. My favorite thing about them is that they have a clip that can attach to the inside of a bag so that the case doesn’t slip out. There are different variations that you can choose from for different types of card storage. 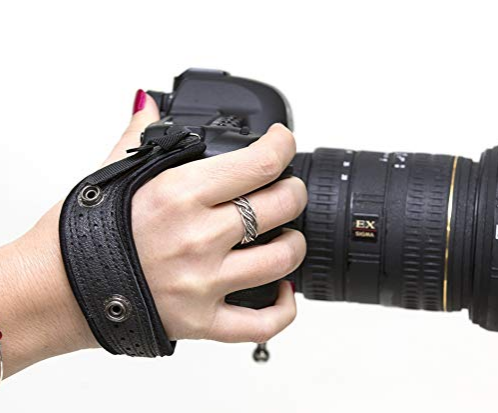 Let me just say this, I have tried absolutely everything when it comes to camera straps. There are so many different options out there and everyone is different. This is one of my favorite hand straps that I have used for a couple years now and I love it. It is so nice because I know that my camera is secure and I know that my camera won’t slip out of my hands. On occasion I will use this camera setup when I need to carry around two cameras and need to switch between lenses fast. This is perfect for weddings. On a side note, it is vegan friendly. These are so much fun! I have one and use it for random fun photos. I remember my first camera back in elementary school was a little film camera. It is perfect for all ages! These are always winners whenever I receive them. Honestly, you can find a Starbucks anywhere and this is why I love getting them so much. If you know anything about us photographers, you probably know we travel a lot. We are always on the road and are needing something to keep us going. Giving a gift of Starbucks is always a perfect gift.